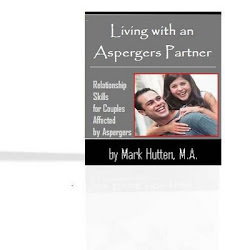 As married men with Asperger’s, we are often in the dog house with our wives. You’ve heard it all before – right?! We’re selfish, uncaring and insensitive… We don’t show enough affection… We’re self-absorbed and aloof… and the list goes on and on. Even when our wives educate themselves about the disorder and why we do some of the things we do – we are still on the hook. We “should” be able to do better. We “should” try harder. We “should” be able to manage some of these pesky Asperger’s traits. In any event, there are some things we can do to at least give the semblance of “normalcy.” I’m of the opinion that if you don’t “get it” (a popular term used by angry neurotypical wives), you can, in many cases, “act as if” you DO get it. Through many years of trial and error, I’ve discovered a few tricks that tend to keep me out of the dog house (most of the time anyway). So, pay attention. Below are 7 simple things I do that help my wife extend a measure of grace and mercy such that I’m not perpetually in trouble with her. Take notes. You’re welcome. 1. I try to spend as much time with family as possible (although it still is not enough to totally satisfy her). The key though is to spend quality time (quantity doesn’t seem to matter as much). For example, my wife would rather have 20 minutes with me where I have my cell phone turned off than have me around for 2 hours while I’m distracted by something else. She says this makes her feel appreciated – and helps our kids feel special, too. 2. I’m not big on affection, but I know it’s very VERY important to my wife. So, I MAKE SURE to give her at least one hug and/or kiss each day. I will also make a point to hold her hand when we are shopping… put my arm around her while we’re watching TV… rub her shoulders while she is doing the dishes… and other things that involve physical touch. 3. I try to remember special occasions (they are entered into an app on my cell phone). Remembering her birthday, our anniversary, and other special dates has saved me a lot of heartache. I’ve missed a few of these important dates back in the day, and it resulted in holy hell. 4. Having fun and playing with the kids is a big marriage-saver. When my wife sees me playing with our kids, it is a big “turn on” for some reason. She is very conscience of the fact that our kids need attention from both parents for important emotional development. 5. Periodically, I will give my wife a small gift for no reason (other than for a random act of kindness). So, when I can afford a nice little gift here and there, I do it. This may sound like an odd gift, but she loves those huge garlic pickles that you can get at the state fair. You know - those quarter-pounders?! So, I surprised her with a couple of those a few weeks ago (and definitely got some bonus points on her score card – LOL). 6. I make an effort to compliment her a few times a week. For example, she already knows that I think she is still beautiful, but she can never hear it enough. 7. Finally, I clean anything that needs to be cleaned. When I do any single chore that she doesn't have to do, she is less bogged down. Her “to do” lists are never ending. But when I help out with a couple of those items, she feels less stressed. Happy wife – happy life! Making my wife happy has a lot more to do with performing in everyday life and less about performing in the bedroom. Showing her that I love her every day by touching her, relieving her of some of her duties, and spending some time with the kids has real dividends. Try it. I believe that I have ASD because everything describing a person with ASD is on point and thus these points will help me in my marriage with my neurological wife. Thank you.